Methyl Sulfonyl Methane (MSM) is an Organic Sulfur compound with the formula (CH3)2SO2. The sulfur compound has a mitigating and skin-repairing impact, hence is useful in provocative skin conditions like skin inflammation and psoriasis. MSM helps in making the skin cells more porous; resulting in soft, smooth and hydrated skin. 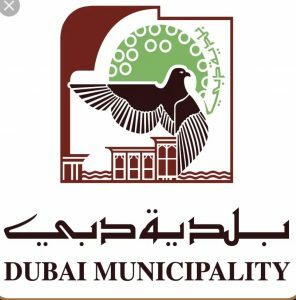 All Our Products are Approved by Dubai Muncipality. Are you worried over your wrinkles? Doctors say that worrying can give you more wrinkles; so stop worrying! It’s simple… when you see wrinkles, treatment can begin. There is no right time, and no matter what age you are; you must take care of your skin. Introducing the MSM Anti-Wrinkle Face Gel – a unique formula with highly developed natural ingredients – MSM and Active Charcoal. This unique combination gel will exfoliate the skin by removing the dead skin cells and enhance the hydrogenation of cells, giving you a real radiant skin. The gel provides a wholesome enhancement to the skin tone and reduces wrinkles visibly, within days! 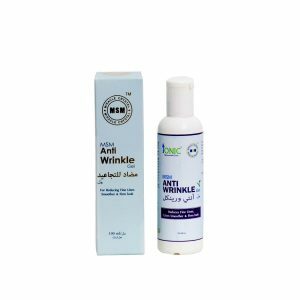 As this product contains MSM which has natural tendency to inhibit the skin sagging and fine lines that lead to the wrinkled skin texture. MSM cleans the skin from deep within. This is a potential breakthrough in the field of cosmetic care that will not just you make you look beautiful, but improve your skin texture, clarity & overall fine wrinkles. New and improved formula designed for both, men and women. It has no added chemicals and is totally therapeutic. Gives a blemish free even toned and nourished skin. It coats the collagen cells with firm sulfur coating and thereby inhibits any further spread of fine lines. It works directly beneath the skin cells to supply oxygenated blood flow to the affected areas and provides a total uplift. 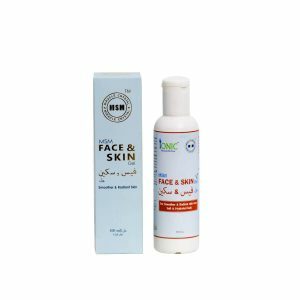 Ionic MSM Face & Skin Gel for Skin Whitening & Deep Cleansing is a gift for those who are looking for a perfect solution to all of their skin problems. The main ingredient ‘Organic Sulfur’ is a Natural Beauty Mineral that helps in revitalizing the skin cells, thus making the skin supple and naturally fresh. Specially formulated with exfoliating beads cleans dirt & oil build- up in clogged pores; it also removes pigmentation and skin blemishes. It is very helpful for Spot Reduction, Skin Toning, Anti-acne, Anti-ageing, Fairness, Skin Exfoliation, Daily Care, Deep Cleansing, and Radiance & Glow. Based in Gel form Ionic MSM is 100% Vegetarian and Organic. It is suitable for all skin types, both for Men and Women. For complete skin nourishment and whitening, Ionic MSM Face and Skin Gel is an excellent product. So, what are you waiting for…? Try Ionic MSM Face & Skin Gel to get magical younger looking skin forever! It is often said that how you look is similar to how you feel. No matter how great makeup you carry, still it is very important that your skin feels good & healthy from inside as well. 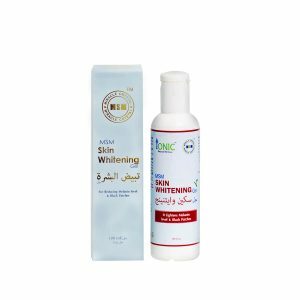 MSM Skin Whitening Gel with the goodness of MSM is made to brighten up your skin. The propylene-rich gel penetrates the epidermis and eliminates dead skin cells and dark spots. MSM acts as a building block for the healthy skin along with the active Arbutin element that brightens the skin from within & prevents the formation of Melanin. Our product tones down the melanin content to make your skin look a lot brighter and attractive from its first use. It removes acne, blemishes, pimples & provides elasticity to the skin. Comprising active Glycerin agent, the gel reduces dryness and helps in keeping the skin hydrated. Don’t just dream about clear skin, when you can get it! Fortifies skin’s barrier to help protect from the dehydrating effect of environment. Apply on Face, Neck, Arms & Underarms for better results. Provides Deep Cleansing along with Moisturization and Nourishment for flawless skin. Organic Sulfur a natural beauty mineral product Gel Based. Active Arbutin elements infuse moisture and leave skin feeling replenished and restored. For all types of skin. Can be used by both Men and Women. With growing age, loosing the charm of skin and going bald are the two big challenges every person faces, irrespective of their gender. Age, nutrition and Environment are the factors that affect the hair growth. Regaining the lost hair can be very taxing and requires a lot of patience. Presenting the Ionic MSM Hair Growth Gel – a pioneering blend of MSM with sulfur compounds – is just the right kind of nutrition your hair requires. Take some amount of this gel and gently massage over your scalp for 10-15 minutes. A daily scalp massage is all you need to do, in order to get the firm hair growth that suites your taste and gives you an impeccable personality. Our product is a scientifically developed mixture of natural agents with no added chemicals and it encourages follicular growth to the desired extent. Re-energize your hair growth with MSM Hair Growth Gel and feel like a new person today! Useful for both men and women and all hair types. MSM compounds stimulate the hair follicles and work on the roots to ensure speedy hair growth. Sulfur compounds enable scalp health, keeping it hydrated and moisturized at all times. It not only strengthens the hair roots but also stimulates the scalp to ensure that oxygenated blood flows in a homogeneous manner. 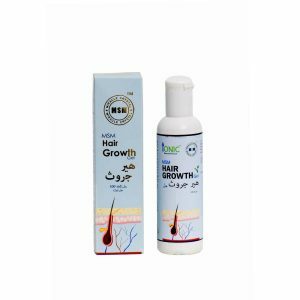 This unique product leads to a fast growth of hair follicles in bald patches and gives you a new personality altogether. It is unique gel base penetrates deeply into the cells and you don’t have to spend hours rubbing and patting it. It conditions and strengthens the roots from inside out. 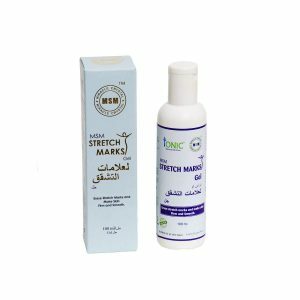 MSM Stretch Mark Gel is a product specially designed for both Men & Women that completely removes the stretch marks formed on your body due to pregnancy or normal weight gain/weight loss. The sulfur compound moisturizes and hydrates the inner cells of the skin in a manner that leads to increase in the cell elasticity and strengthens the cell membrane. It helps skin to bounce back after getting stretched by the process of pregnancy, weight gain or extreme weight loss. MSM Stretch Mark Gel works directly on the inner skin tissues and heals the skin from the core. It helps in removal of stretch marks formed in the dermis. 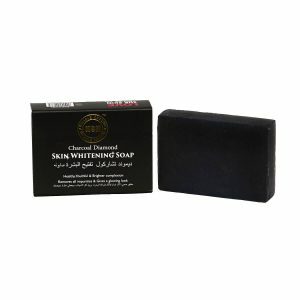 Bringing you the MSM’s skin lightening and brightening properties, Charcoal Diamond: Whitening Soap Bar gives your skin a healthy brighter tone. Activated carbon or charcoal is also known to brighten up the skin. MSM Charcoal Diamond: Whitening Soap Bar thus combines skin brightening properties of both MSM and activated carbon. Tone up your skin a tad brighter with MSM Charcoal Diamond: Whitening Soap Bar! 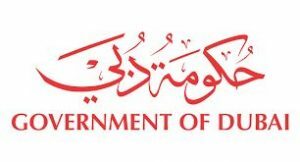 Glycerine also called as Glycerol is generally obtained from plant and animal sources where it occurs as triglycerides. Typical plant sources include soybeans or palm. Glycerol is the main component of our product along with MSM. MSM Glycerin Soap is a phenomenal treat for those with sensitive, easily irritated skin because it prevents skin dryness with its moisturizing properties. It draws moisture up through skin layers and prevents excessive drying and evaporation. MSM has natural invigorating effect on the skin tissues and Glycerine maintains the effect, so that the resulting product is uniquely effective and beneficial. 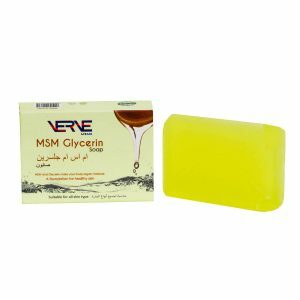 Verve MSM Glycerin soap is uniquely formulated and is totally non-toxic to the extent that it can be safely used on kids’ skin as well. Useful for all age groups and all skin types . Unique formulation of the soap-base hydrates the skin, cleans the pores and soften the skin texture, to yield a visible glow and softness to the skin. Why burn out lots of money at beauty parlor for brighter and glowing skin. 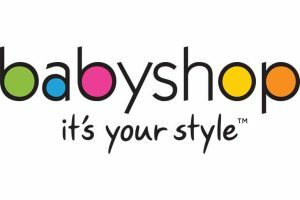 We have formulated the new and improved product. 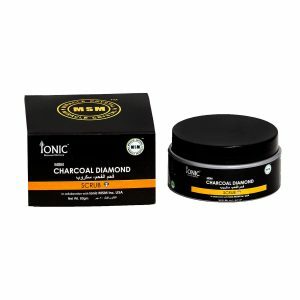 Ionic MSM Activated charcoal diamond brightening face mask that will give you an amazing result and up to two-tone brighter skin guarantee, from the very first use. It is a brightening mask that lasts long, and give you clearer, smoother, younger looking skin instantly. Activated charcoal will remove deep seeded impurity, dead skin cells, bacteria, blemishes, blackheads, scar marks and MSM will give you radiance, tighten up pores and give a fresh glowing skin after every use. Ideal for Men & Women. For all Skin type Activated Charcoal scrubs off dust dirt particles and dead skin from face. Contains anti-fungal antiseptic antibacterial anti-inflammatory and antioxidant properties. Highly recommended to ward off harmful effects of atmospheric pollution. Activated Charcoal for Brighten & Tan Removal. 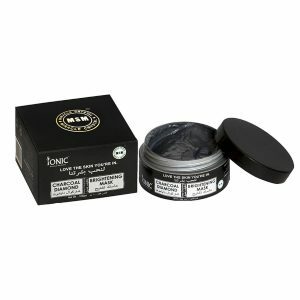 For Dead & Damaged Skin Activated Charcoal repairs the skin deeply and give natural glow on the face. MSM Charcoal Diamond Tooth Powder is a unique combination of activated carbon and organic sulfur. 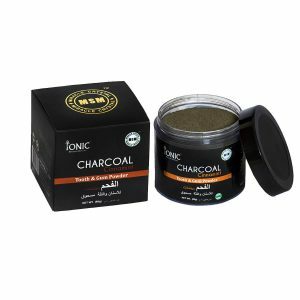 Charcoal is known to cure many dental ailments such infections and cavities, while MSM is known to heal gum diseases and toothaches as it is a natural pain-killer and antibacterial agent. MSM (Organic Sulphur) keeps your teeth and mouth healthy by fighting off gingivitis, tooth aches, sensitivities and helps in teeth whitening. Copyright © 2017 Avisa General Trading LLC.